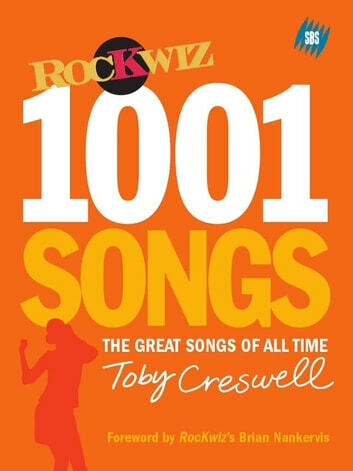 When RocKwiz, the hugely popular SBS TV rock trivia show, look for questions, there is one resource they continually turn to Toby Creswell's 1001 Songs. The stories behind the great songs of all time from Gershwin to Missy Elliott, from Bob Dylan to Alicia Keys, Sinatra to Offsping, Leonard Cohen to Pulp are all in there. 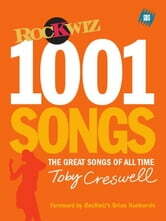 RocKwiz 1001 Songs tells the stories behind the best and most popular songs of the last century. It reveals background facts that will fascinate and intrigue, biographical information on each performer and also boasts a guide to the definitive and the oddball covers of songs. The book also features over 400 showstopping photographs and album covers. Not bound by ranking, era or album, RocKwiz 1001 Songs is presented just like an iPod on random. Discover how Ike and Tina Turner stole River Deep, Mountain High, how matching Body Shop shampoo inspired Courtney Love to write a song after the death of Kurt Cobain, and just who the other members of Sheryl Crow's Tuesday Night Music Club actually were. RocKwiz 1001 Songs provides endless entertainment and insider information on over a thousand artists and songs, right up to the minute the perfect book for music buffs, keen listeners, and anyone who's ever had a song stuck in their head.